What is COENZYME Q10and where does it come from? The primary function ofCOENZYME Q10 is as a catalyst for metabolism - the complex chain of chemical reactions during which food is broken down into packets of energy that the body can use. Acting in conjunction with enzymes, CoQ10 helps to speed up the vital metabolic process, providing the energy that the cells need to digest food, heal wounds, maintain healthy muscles and perform countless other bodily functions. What does COENZYME Q10 do? Because of CoQ10’s essential role in energy production, it's not surprising that it is found in every cell in the body. 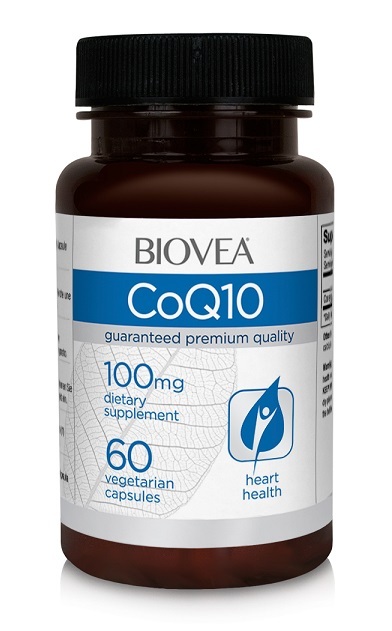 COENZYME Q10 plays an important role in heart health and cardiovascular function as it aids in the production of ATP (cellular energy) to help maintain a steady heartbeat. As an antioxidant, COENZYME Q10 may help slow pre-mature ageing as it helps reduce damage caused by free radicals. This function also gives it the ability to improve immune system health, and reduce oxidative damage throughout the body. Immunity: Much like vitamins C and E, COENZYME Q10 helps to neutralise cell-damaging molecules known as free radicals, boots the immune system, and may help to reduce the signs of ageing. Energy:Involved in energy production on the cellular level, COENZYME Q10 may help reduce fatigue, and improve metabolism. Heart Health:COENZYME Q10 is especially abundant in the energy-intensive cells of the heart, helping this organ beat more than 100,000 times each day. Since this essential compound diminishes with age, supplementation may be beneficial after the age of 40. Anyone seeking to improve immune function, increase energy, and maintain a healthy heart may benefit from taking COENZYME Q10. Does COENZYME Q10have any side effects? COENZYME Q10 is considered safe but may cause digestive upset in some people. For some, COENZYME Q10 may lower blood sugar so those with diabetes should check with their health care provider before supplementing with CoQ10. Other Ingredients: Rice flour, hydroxypropyl methylcellulose, vegetable magnesium stearate, silicon dioxide. Suggested Daily Intake: Take 1 capsule daily with meals.